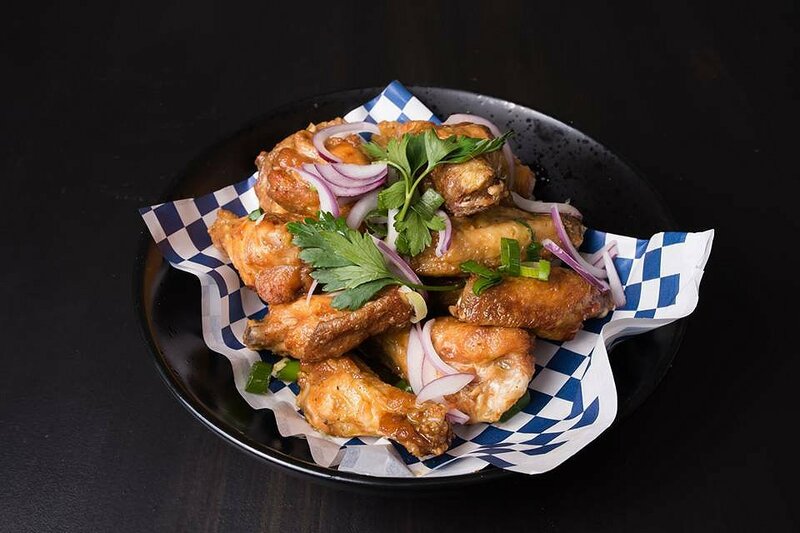 Yesterday for lunch Adelaide Food Central went to the recently opened Buffalo Wing Co. located on Woodville Road. You want, chicken well they will give you chicken that’s for sure. We were treated to an amazing spread including wings, burgers, wraps, salads and sides. We were so impressed with how fresh and delicious the food we had was. One of our favourite things to eat at Adelaide Food Central is burgers so we started with two delicious burgers. 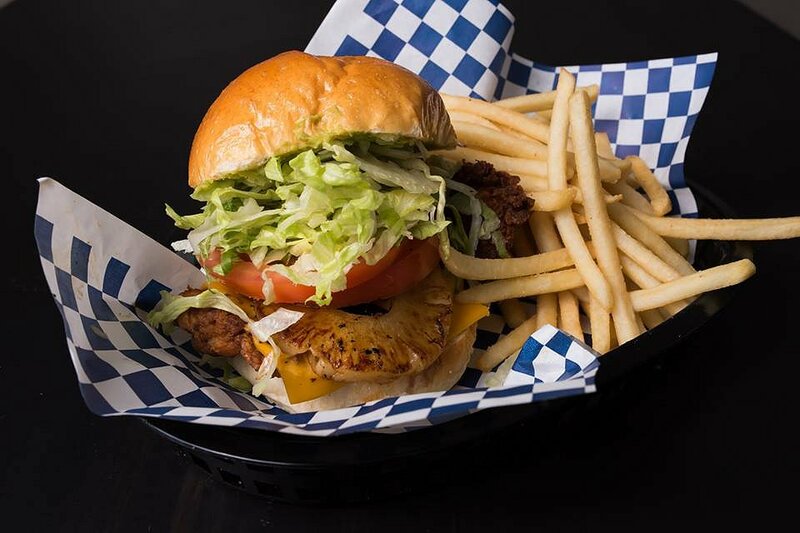 The Huli-Huli burger, tasted like you just stepped out into the tropics of Hawaii. 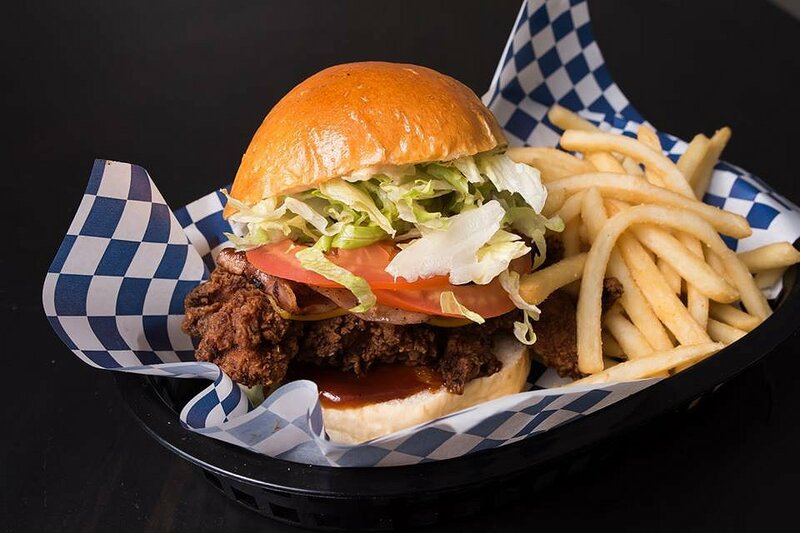 The fried chicken was wedged between a burger bun and topped with cheese, lettuce, tomato, avocado, grilled pineapple and Huli-huli mayo. I absolutely loved that this burger had avocado in it and the sweet pineapple. The hula-hula mayo also gave the burger that unique creamy taste. The second burger we tried was the Texas Squealer, it just sounds naughty doesn’t it. Once again the burger was served with fried chicken, cheese, lettuce, tomato, chipotle mayo, crispy bacon and smokey BBQ. Another delicious burger that most certainly danced on our tastebuds and filled our stomachs. We then tried one of their delicious wraps from their menu, the Caribbean Jerk. 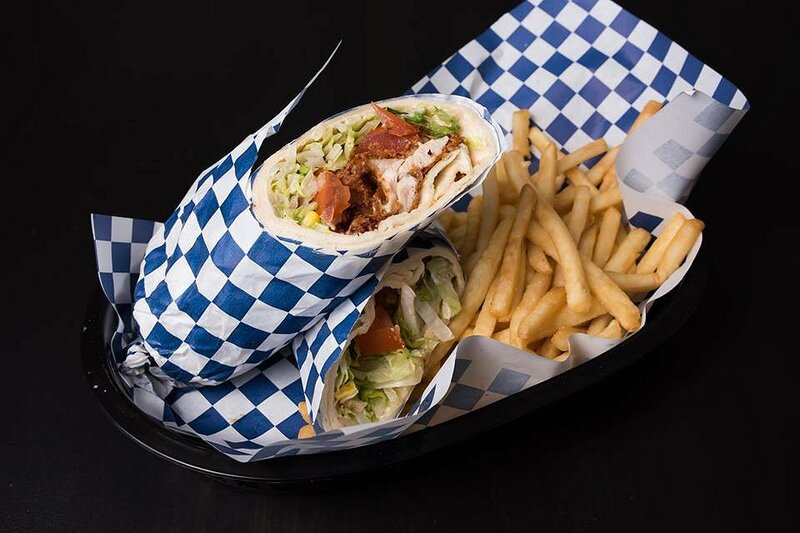 This fresh wrap came with fried chicken, lettuce, tomato, roasted corn, and Caribbean jerk mayo. A very simple wrap but was extremely filling with deliciously fresh vegetables and perfectly cooked fried chicken. The jerk mayo gave the wrap a little bit of difference with the slight spice blended throughout. The next dish we tired was from the salad menu. Before trying this dish, I was a little sceptical to try a salad in a take away shop, but this was probably my favourite dish on the menu. The Jerk Salad had fried chicken (can have it grilled to), Quinoa, roasted corn, tomato and red onion salsa, avocado, and Caribbean jerk dressing. I loved how fresh each and every ingredient was. It almost reminded me of a poke bowl with the salsa and avocado placed on top. 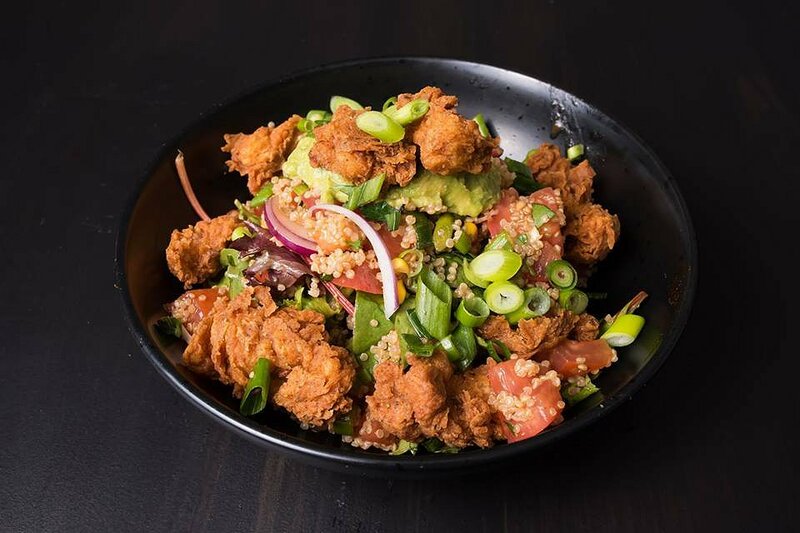 Everything was so incredibly healthy about this salad and was then topped with some naughty fried chicken. A must tries when coming to visit. How could we leave without trying their amazing wings. We sampled two of their wing flavours including Buffalo and Lemon Garlic. 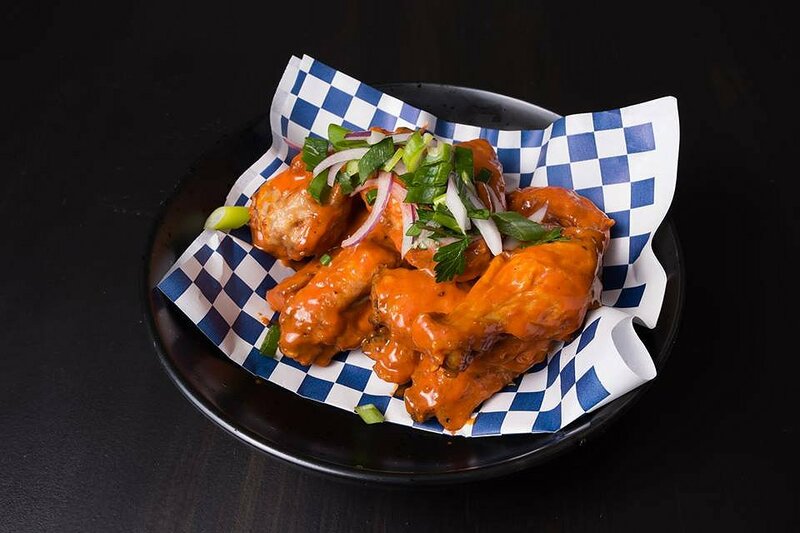 The buffalo wings are everything that you can imagine, spicy and messy. Yes, I did leave with a stained top, which shows how much I enjoyed these wings. The lemon garlic wings are slightly lighter with a simple dressing, but still with enough flavour to compliment the chicken. 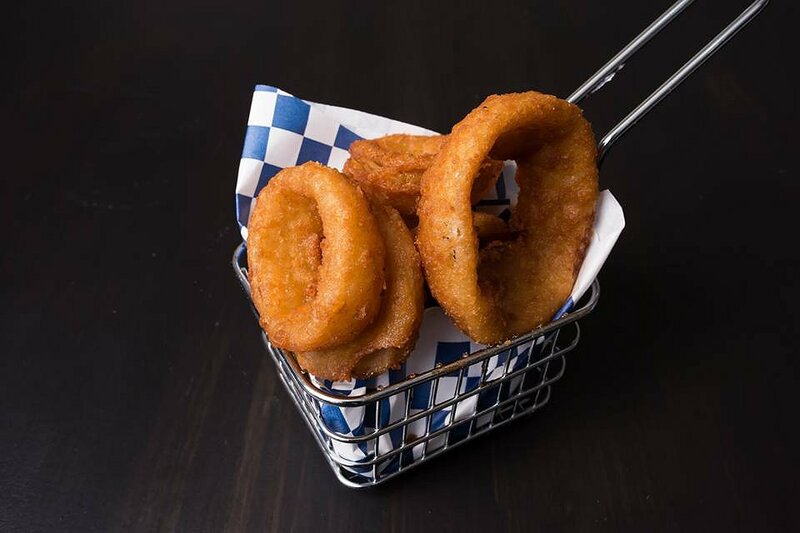 Onion Rings are a favourite of ours at Adelaide Food Central so we were sure to tuck into these bad boys straight away. These are probably the most ‘real’ onion rings I have ever tasted. When biting into the batter you could tell straight away that the onion came straight from the onion. You could taste the strong onion flavour and paired well with the crispy batter. 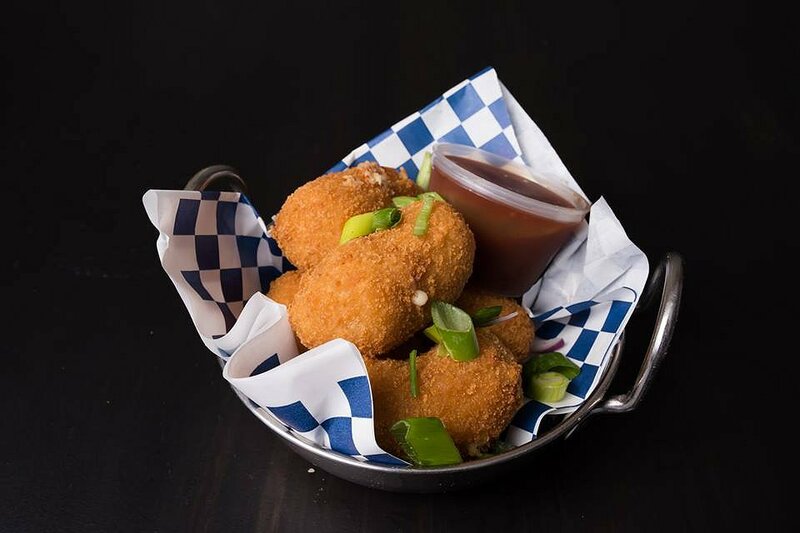 The Mac and Cheese Bites were to die for. Not only were they perfectly cooked and crunchy on the outside, but the inside was warm and creamy. Safe to say these are the best bites I have had thus far. Thank you to Steve and the team at Buffalo Wing Co. for inviting us along to sample their enjoyable menu. If you are looking for a fresh, naughty and nice menu then head down and say hello to the team. They will be sure to look after you.